Try something novel for Valentines Day for your sweetheart. 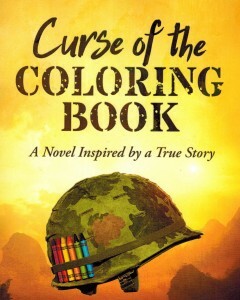 How about, “Curse of the Coloring Book,” a novel, in addition to the usual flowers and candy. Be sure, if you using Amazon, to plug in “Curse of the Coloring Book,” a novel or you will be directed to adult cursing coloring books! Check out the reviews and if they interest you, go for it!